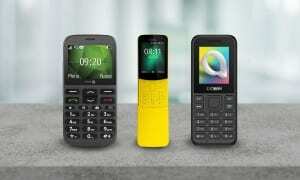 Top Five Cheap Home Phones: Best Budget Cordless Phones For 2019 - Which? Cordless phones can be expensive, but you needn't pay the earth. These great value home phones all offer fantastic call quality without breaking the bank. Cordless phones can be surprisingly expensive, and some can cost hundreds depending on which model you go for and how many handsets you want. But there are plenty of great-value home phones out there which are a pleasure to use and won’t necessarily cost the earth, as long as you know where to look. To ensure you get the biggest bang for your buck, we’ve rounded up the five best value cordless phones which all come in at £40 or under for a single handset. 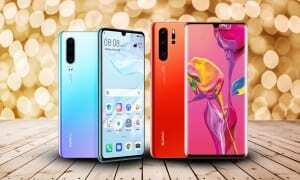 All of these cheap home phones are Best Buys which impressed in our rigorous lab tests, and some even offer sophisticated features which are typically seen on much pricier models. But equally there are some duds out there that shouldn’t be bought no matter how cheap they are, and we’ve highlighted three of the very worst below. These three sound poor, their range is limited and they are frustrating to use, which is why we’ve singled them out as Don’t Buy cordless phones. This cordless phone is outstanding for its price. It’s well-made, calls sound clear, and the battery life is great. This Best Buy phone also has a large colour display, illuminated buttons and its hearing aid compatible. Admittedly the call blocking is a little basic, but you can silence incoming calls where the number has been withheld or is unknown. This landline phone is our cheapest Best Buy. The sound quality is great, the handset is easy to use and even the speakerphone impressed in our tests, proving that you don't need to spend the earth to get a home phone that's an excellent all-rounder. 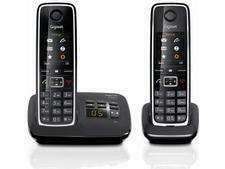 Look no further than this cordless phone for a great-value handset. What this cordless phone lacks in looks, it more than makes up for in terms of ease of use and functionality. It’s a worthy Best Buy that’s simple to set up and it has a large internal phonebook. 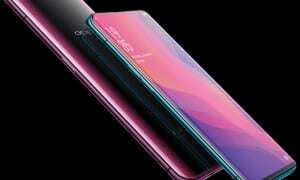 It also has advanced call-blocking features typically seen on much more expensive phones. If you don’t need a built-in answering machine, then this home phone is an excellent choice that’s very nearly a Best Buy. It’s basic, reliable and good value for money, offering nuisance call blocking, clear calls and a good-sized range that’s on par with cordless phones that are three times the price. A mere hair’s breadth from being a Best Buy, this cordless phone might be basic but it really impressed us with the sound quality on calls, decent range and easy-to-use design. Its hearing aid compatible, it has some call-blocking capabilities and the answering machine is straightforward to set up and use. Not found the product for you? 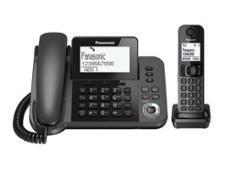 Browse all of our cordless phone reviews. Our testing proves that it’s impossible to know how well a cordless phone will work based on price alone. We’ve found some excellent affordable gems, but we’ve also seen some cheap cordless phones that aren’t worth spending one penny on. 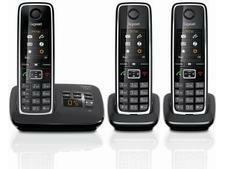 Below are three low-cost home phones that are difficult to use, sound terrible and are missing key features such as call blocking. Although it's cheap, this cordless phone lacks an answering machine, call blocking and it doesn't have a speakerphone. You'll struggle to hear it ringing and the range is pretty average, so you can't stray too far from the base station when you're on a call as you'll be disconnected. This brand makes some great cordless phones but this isn’t one of them. It doesn't have an answering machine, loudspeaker or any call-blocking features, calls are not very clear, and the screen is basic and hard to read. You also have to input your saved numbers into each handset individually. This home phone has the dubious honour of being the lowest-scoring cordless phone we’ve tested. The calculator-display is a pain to read, there’s no answering machine, speed dial or loudspeaker, and most importantly, the sound quality is poor and deteriorates further if the signal becomes weak. 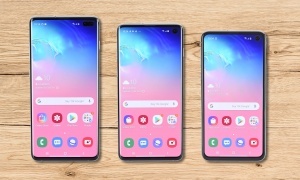 How many handsets? Retailers often have discounts on multiple handset packs, so it's worth shopping around for the best deal. But if you're not sure how many cordless phones you'll need, buy a single or twin pack and add more handsets later. Registering any extra handsets to your current system should be painless and take a matter of minutes. Where to put them? You can have up to four cordless phone handsets in your home, all working wirelessly from a single base unit that's connected to your phone point. This means you can have handsets in your bedrooms or any other locations where you don’t have a phone point, and the other handsets just need to run off a mains socket. Have you checked the battery on your existing phones? The battery your cordless handset uses can have a big effect on performance and sometimes swapping the old battery for a new one will improve the sound quality and range. If one of your cordless phone handsets is acting up, try swapping the batteries with another handset to check whether the problem is due to the battery before getting rid of it entirely. It's much cheaper to buy a replacement battery than it is to replace the whole phone. Do you need two phone lines? If your cordless phone gets a lot of use, for example if you or your partner runs a business from home, a cordless phone with two lines is a good choice. Some phones offer two distinctive ringers to delineate which line has the incoming call and this feature also facilitates conferencing two callers in a three-way conversation. Do you have a lot of contacts? If you have a bulging address book, opt for a cordless phone which can transfer your phonebook between handsets so you don't have to type in your numbers to each individual handset.